Rather than concealing imperfections, the joins of these four repaired vessels are defined by bright gold lacquer in a technique known as kintsugi or "golden joinery." 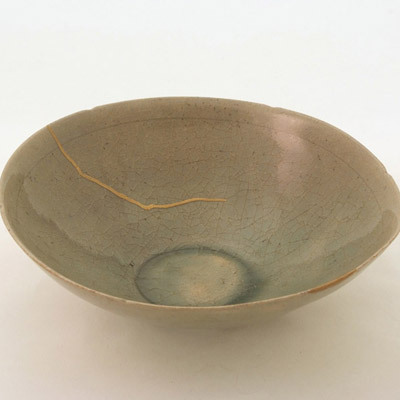 This Japanese art form is more than 500 years old and is often used on tea ceremony ceramics. 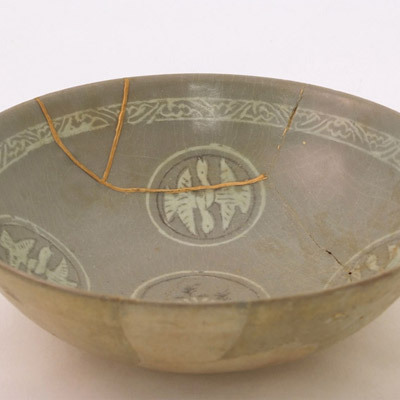 Multiple layers of lacquer are applied to bond fragments of a broken vessel together. Gold dust is mixed into the final layer to highlight the joins. The elegant repairs celebrate the age and history of the vessel, enhancing its beauty and marking it as a valued heirloom. None of the ceramics exhibited here were made in Japan. 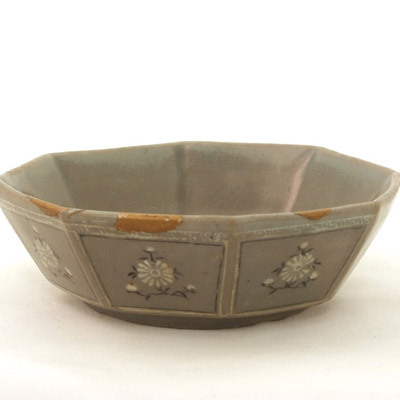 The three small bowls were manufactured in Korea during the Goryeo period (918-1392 CE) and were acquired by American collector Colonel John R. Fox in Korea during the 1950s and early 1960s. 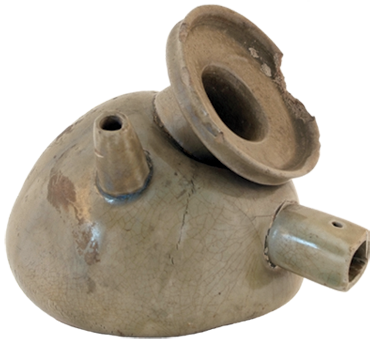 The larger footed bowl is a Chinese incense burner that dates to the 14th century and was collected by James Marshall Plumer. 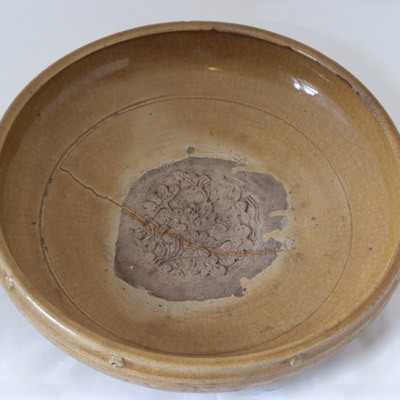 The dates of the kintsugi repairs are unknown.